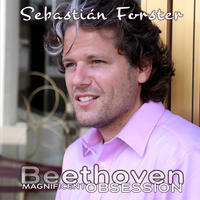 Sebastian Forster: Exquisitely performed beethoven piano sonatas. Born in Buenos Aires in 1975, Sebastián Forster has touched audiences and reached the souls of those lucky to hear him play live, lifting the musical experience to new levels of emotional engagement. "I have had several most welcome opportunities to hear Mr. Foster play, and these experiences have been almost rhapsodic - I have seldom been as deeply moved and impressed by a young musical artist's passion and skill - He is a true genius whose musical talent is matched by an energizing charisma that I'm convinced will make him increasingly popular and influential among audiences". 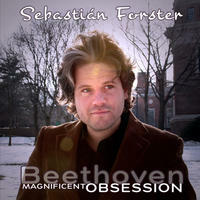 Sebastián made his international professional debut with the Concertgebouw Chamber Orchestra performing Mozart's piano Concerto #23, which was recorded live on BMG's prestige Victor Red Seal label. Between others, touring the U.S.A., Germany, Italy, The Netherlands, Belgium, Austria, Hungary, Ukraine, Argentina, Mexico, Chile, Uruguay, Paraguay and the Czezh Republic, among other countries. "His mastery of technique is first rate. 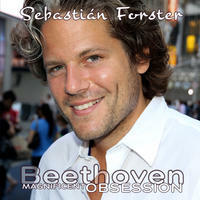 His knowledge of the major works of the classics, and his professional repertoire is of the highest caliber. What puts him head and shoulders above many other pianists, however, is his expressiveness and originality of emotion with which he performs piano pieces of the classical vein. His performances of certain concertos by Mozart and Beethoven are some of the finest of these works that have ever been recorded. His ability to convey the most subtle of nuances in these pieces is what separates him from the merely good pianist performing today. The originality of his interpretation put him in an internationally select class"
- Mr. Tamal Gal, Music Director and Conductor of MAV Symphony Orchestra, and Professor at Liszt Music Academy. 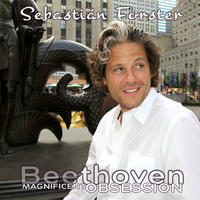 Performing publicly since the age of ten, Sebastián studied with Maestro Aldo Antognazzi, a former pupil of Arturo Benedetti Michelangelli, who was a descendant of Franz Liszt. He participated in master classes in Hungary at the Liszt Academy of Budapest, and lived for long periods of time in The Netherlands, where he regularly performed at the world-famous Concertgebouw Hall. At "Sala Verdi" in Milan (Italy), he gave a solo recital which included the works of Liszt, Mozart and Prokofiev. Antonio Mormone, President and Artistic Director of the "Fondazione La Società Di Concerti" and organizer of the event, said: "he is one of a handful of truly great pianists today. His touch is commanding but subtle at the same time. He can express the most adventuresome and bold statements, but he is also capable of performing the most intricate and delicate passages in classical music. For example, in a concert he gave here at our hall, his work ranged from the jagged and wild rhythms of Liszt's Mephisto Waltz, to the staid, stately and majestic tones of Prokofiev Sonata n.7. He played flawlessly.". His extraordinary emotional intelligence and "highest level of musicianship" ... not only make him "flawless in technique, sense of rhythm and tempo, but most significantly, his originality in interpretation is absolutely wonderful"
- (S.Spreng, Miami Herald) but has allowed him as well to shine high with many different genres, and specially when performing and breathing the music of his beloved Godfather, with whom he spent summer holidays in Punta del Este, the extraordinary and revolutionary Astor Piazzolla. Sebastián is the founding member of the "Astor Piazzolla Foundation Trio", with which he toured Belgium, The Netherlands, U.S.A. and Argentina, and recorded the "Nácar Concerto" with the Argentinian Mayo Chamber Orchestra. Astor was of great influence in his career and beginnings, from helping him choosing his first piano at a very early age, to empowering his talents with guidance and nurturing. Beethoven and Piazzolla live inside Sebastián with grand mastery and passion, as well as his extraordinary educational activity with the goal of bringing the musical universe of children out, teaching them, at an early age, the unlimited possibilities of self-expression through music. 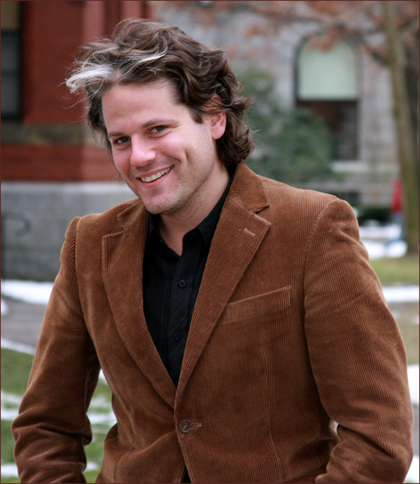 He is Faculty at the Piano School of New York City since 2005, and lives with his wife and seven-year old son. 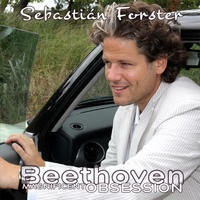 In 2009 Sebastián Forster ventured into accomplishing a lifetime-legacy major project of immense proportions: the recording of The 32 Complete Piano Sonatas of Ludwig van Beethoven, in an ongoing creative effort conceptually started three years ago. 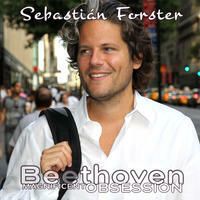 He will be recording the ongoing work of Beethoven through ten albums, during 2009, 2010 and possibly 2011. 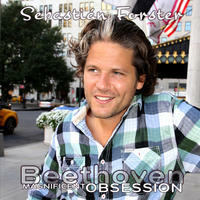 Sebastián is a true Beethovenian, he breathes and experiences Beethoven's every single emotion, of true love, drama, passion, desperation, beauty and darkness. Living Beethoven with every key stroke is an experience of monumental inner impact, only at reach for the daring soul and the truly talented soloist. 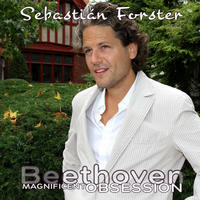 This is a great opportunity to hear Beethoven as it was never heard before, getting lost in the world of invigorating ideas and emotional virtuosity that has made Sebastián Forster one of the outstanding interpreters of the classical repertoire currently working on the world stage today. 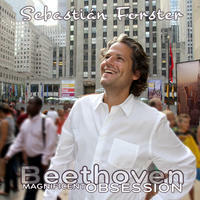 Sebastian Forster lives in New Jersey, USA. Tagged as: Classical, Classical Period, Romantic Era, Instrumental Classical, Classical Piano, Composer: Ludwig van Beethoven.